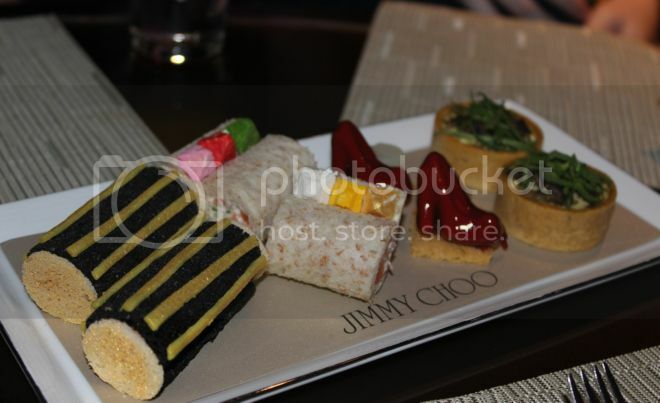 Jimmy Choo has teamed up with The Landmark Mandarin Oriental Hong Kong, to create an afternoon tea set inspired by the brands SS13 collection. Featuring miniature delicacies in the shape of ANOUK pointy-toe pumps, CAYLA clutch with pyramid stones and the SS13 bold floral python print etc. 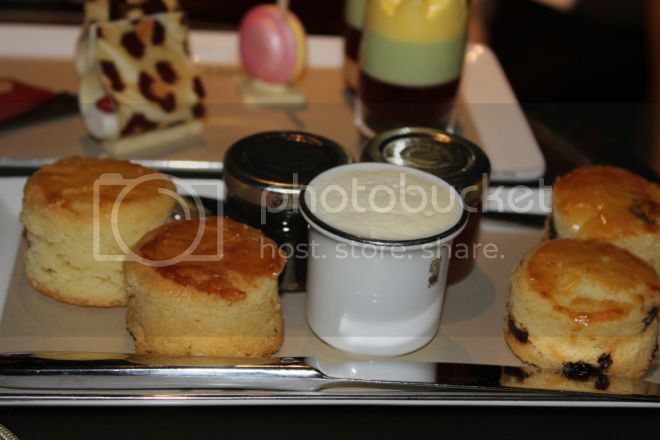 I was lucky enough to taste and preview the tea set, everything was way too cute to eat. 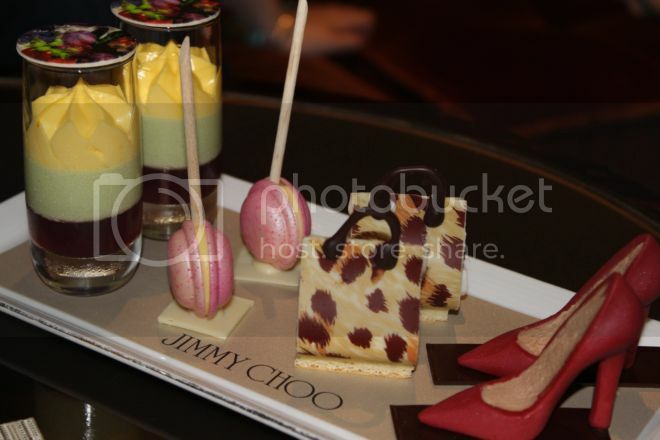 * The Jimmy Choo afternoon tea set will be served from 2nd April - 5th May 2013 at the MO Bar at The Landmark Mandarin Oriental Hong Kong. 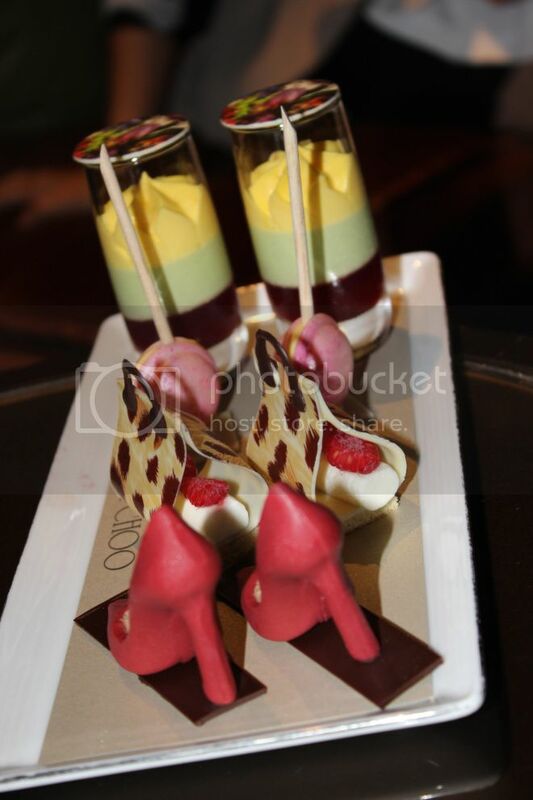 HKD280 per person (Sat & Sun will be topped with a weekend dessert buffet). All guests will receive a special gift with every tea set, while stocks last. Nice post, i really like it!! How lucky! I don't know how it tastes but it's really beautiful! Way, way too cute to eat! The creativity and talent of some people is amazing. Just gorgeous!